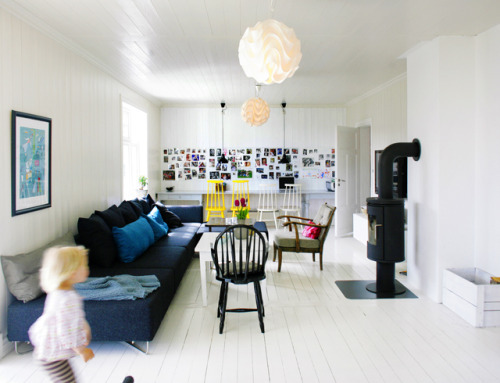 The above is home in Norway, the photo is by Nina Ruud and I found the image on the blog, From Scandinavia with love. I love the white floors and the mix of colour and retro style in the furniture. The pictures below are from the Decor8blog. The house belongs to an interior blogger Siw Haveland. I love the bedroom!!!! 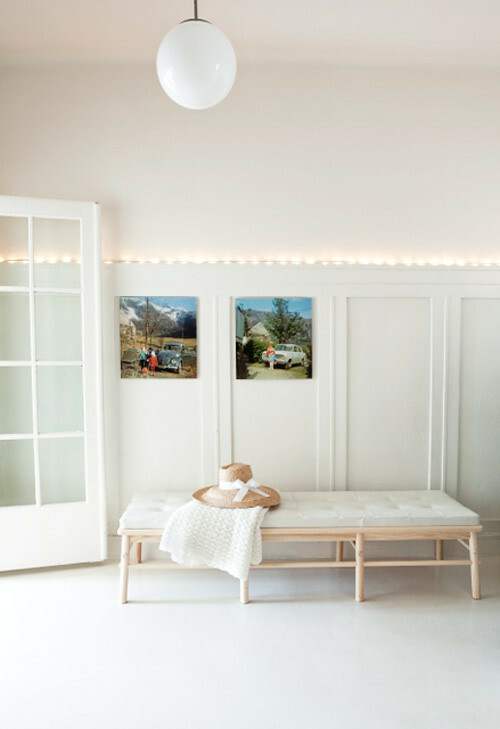 Dont you just love the simplicity of the entrance hall - I love the bench and I'm so in love with the crochet throws on the bed!!!! The images below were shot by the talented Trine Thorson. I just LOVE the style in this house, I could seriously see myself living in such a beautiful space! I Love the simplicity of Scandinavian design.